Image credit: Debby Wong/Shutterstock, Inc.
As feckless, pink Juicy tracksuit–wearing Mrs. George in the 2004 film Mean Girls, actress and comedian Amy Poehler mined comic gold with the line, “I’m not like a regular mom, I’m a cool mom.” The joke was, of course, that Mrs. George was a terrible mom, encouraging daughter Regina and friends to drink (but responsibly! at home!) as she yearned to be her teen’s best friend. The comment is typical of Poehler’s forthright humor. The actress and comedian’s work has ranged from her tenure on Saturday Night Live, where she memorably played Hillary Clinton to best friend Tina Fey’s Sarah Palin during the 2008 election, to roles in films such as Blades of Glory and the aforementioned Mean Girls. She voiced the character of Joy in Pixar’s Inside Out, and for seven seasons played perky midlevel bureaucrat Leslie Knope in the NBC political television sitcom Parks and Recreation. A three-year stint cohosting the Golden Globes with Fey brought her to an even larger audience. Smart and funny, the friends managed to turn an American awards ceremony into a veritable feminist cheerathon, riffing about everything from Hollywood sexism to allegations about Bill Cosby’s sexual misbehavior. But Poehler doesn’t just riff about being a strong woman. She promotes it. Though the actress has described her relationship with social media as “wary,” she has nonetheless invested her energies into a website, Amy Poehler’s Smart Girls, which is dedicated to empowering teen girls. Originally “Smart Girls at the Party,” a digital series that moved to YouTube in 2012, “The idea came out of us wishing we had a time machine so we could go back to the younger versions of ourselves and let them know it was gonna be OK,” Poehler once said. The site includes interviews with smart women from all walks of life (a recent interview with freelance journalist Lauren Duca discussed Duca’s incendiary Teen Vogue op-ed, “Donald Trump Is Gaslighting America”); profiles of STEAM (Science, Technology, Engineering, Arts, Mathematics) leaders; and articles about taking positive action (pieces describe the viral reaction to the silencing of Senator Elizabeth Warren, a Nasty Women art exhibition, and girls using videos to combat bullying). 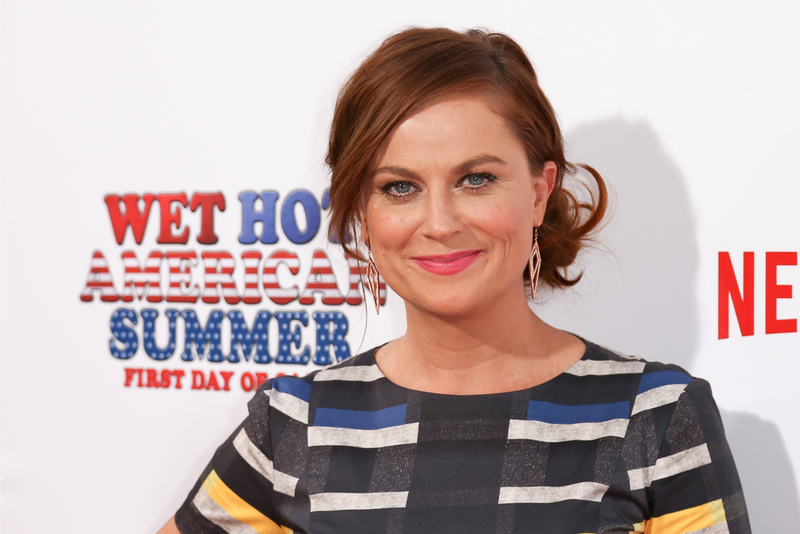 Next up for Poehler? The Netflix series Russian Doll, which she cocreated and executive produces with Natasha Lyonne and Leslye Headland, premiered February 1; she’s set to direct the movie Moxie, based on the novel by Jennifer Mathieu about “a teenager who discovers the feminist punk rock movement Riot Grrrl and leads a feminist revolution at her high school,” according to the Wrap; and Wine Country, a movie she produced, directed, and stars in, premieres May 2019 on Netflix. Editor’s note: This article was updated on February 25, 2019.